The New York Racing Association, Inc. announced a 40-day lineup of entertainment and special events for the 2018 summer season at Saratoga Race Course. The event schedule for the annual summer meet will feature a number of new happenings alongside returning traditions and perennial favorites. New for 2018, Coca-Cola will serve as the official sponsor of the Saratoga Pavilion, the on-track venue where NYRA hosts 40 days of special events. The Coca-Cola Saratoga Pavilion is where fans will gather to enjoy the majority of event activities during the summer meet. Among the notable enhancements to this season’s event lineup, the Coca-Cola Saratoga Pavilion will host Fashion Saturdays, designed to showcase the tradition of style in thoroughbred racing by creating a boutique-style shopping experience. The weekly event will feature an array of women’s and men’s fashion apparel and accessories from local retailers, as well as a selection of home décor and jewelry items throughout the season. The 2018 annual summer meet will kick-off with the traditional Grade III Schuylerville and Grade III Lake George. Taste NY: Craft Beer will allow guests the opportunity to sample numerous craft beers produced exclusively by New York State breweries. The tasting will be held each Friday from noon to 5 p.m. in the Coca-Cola Saratoga Pavilion. Guests will enjoy five samples for $5. Must be 21 years or older to participate. Guests will be invited to stay on-track after the day’s final race to enjoy bourbon cocktails and play trivia to win special prizes from Woodford Reserve at The Post Bar. The weekly event will be held from 6 to 8 p.m. Designed to showcase the tradition of style in thoroughbred racing, the weekly event will feature women’s and men’s fashion apparel and accessories from local retailers, as well as a selection of home décor and jewelry items throughout the season. The event will be held each Saturday from 10:30 a.m. to 5 p.m. in the Coca-Cola Saratoga Pavilion. Guests are invited to the Jim Dandy Bar to sample Woodford Reserve Saratoga Personal Selection, crafted exclusively for racing fans at the Spa. The weekly event will be held from 2 to 4 p.m. Fans are invited to sample the new Ketel One Botanicals from 3 to 5 p.m. and enjoy music from a live DJ and dancing under the stars following the day’s final race. Hundreds of contestants will don creative and fashionable head toppers to compete in what has become a staple of Opening Weekend at Saratoga Race Course: the 27th annual Hat Contest. Registration begins at noon under the grandstand for three categories. The contests for Kreative Kids, Fashionably Saratoga and Uniquely Saratoga will take place after the second, third and fourth races of the afternoon. Prizes are provided by Hat sationa! by DEI. Taste NY: Food & Artisans is a lively on-track market of numerous food and artisan vendors featuring products made exclusively in New York State. The market will be held each Sunday from 10:30 a.m. to 5 p.m. in the Coca-Cola Saratoga Pavilion. Guests will also have the opportunity to learn about NYRA Bets. Sundays and Mondays will include the Low Roller Challenge which allows aspiring handicappers the opportunity to experience the thrill of tournament play for $40, with $30 going towards live bankroll and $10 to the prize pool. Registration begins at 11 a.m. near the Fourstardave Sports Bar. 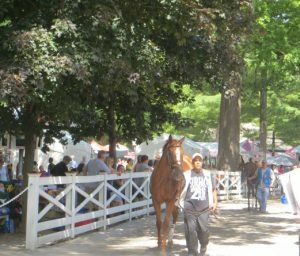 The Berkshire Bank Family Mondays series will feature a wide variety of family-friendly activities, games, attractions and educational activities each Monday of the meet from 11 a.m. to 4 p.m. in the Coca-Cola Saratoga Pavilion. All games and activities are free with the exception of one each week designated to support a local school or PTA. Saratoga Race Course will pay tribute to active military members and veterans in appreciation of their sacrifice and service to our nation. The Coca-Cola Saratoga Pavilion will feature exhibits and activities throughout the day. All veterans and active duty military will receive free Grandstand admission with military ID. Military Day is presented in partnership with JDog, owned and operated by local military veterans and family members. Taste NY: Cider, Wine & Spirits will allow guests the opportunity to sample varietals of cider, wine and spirits from numerous New York State distilleries and wineries. Live music will accompany the tasting each Thursday of the meet from noon to 5 p.m. in the Coca-Cola Saratoga Pavilion. Guests will enjoy five samples for $5. Must be 21 years or older to participate. Each Thursday, guests will have the opportunity to sample Aperol Spritz cocktails at The Post Bar from 3:30 to 5:30 p.m. Fans are also invited to stay on-track after racing to enjoy music from a live DJ and dancing under the stars. Saratoga Race Course will unite with racetracks across the country on Saturdaywith autograph signings and photo opportunities as part of the Permanently Disabled Jockeys’ Fund (PDJF) Day Across America. 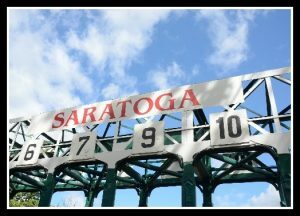 Saratoga Race Course will honor police officers, firefighters, EMTs and paramedics during First Responders Appreciation Day. The Coca-Cola Saratoga Pavilion will feature exhibits and activities throughout the day, including free youth bicycle helmets and fittings, while supplies last. All first responders will receive free Grandstand admission with proper ID. The Grade 1, $1.2 million Whitney will pair with the Grade 1, $500,000 Longines Test for 3-year-old fillies, and the Grade 3, $200,000 Fasig-Tipton Waya for turf fillies and mares. Also on Saturday are two additional turf stakes: the $100,000 Fasig-Tipton Lure and the $100,000 Fasig-Tipton De La Rose for fillies and mares. Some of the greatest riders in the history of thoroughbred racing will gather at Saratoga Race Course for the fourth annual Jockey Legends Day. The day’s activities will feature special appearances by some of the Spa’s most accomplished riders and autograph signings with a suggested donation to benefit the Permanently Disabled Jockeys’ Fund. The charm and spirit of Italy will come trackside when Saratoga Race Course hosts Italian-American Day. The day-long celebration of Italian culture and heritage will feature traditional Italian music, dance, food, entertainment and games at the Coca-Cola Saratoga Pavilion from 11 a.m. to 5 p.m. The afternoon will also include an Aperol Spritz tasting at The Stretch, located inside the Grandstand at the Top of the Stretch. Saratoga Race Course will celebrate women and their contributions to the thoroughbred industry while raising funds to support The Breast Cancer Research Foundation on Fabulous Fillies Day. This year’s event will for the first-time honor local breast cancer survivors during special winner’s circle presentations throughout the afternoon in partnership with To Life! The day will also feature the return of the Best in Pink fashion contest for women and men, sponsored by vineyard vines and Moet & Chandon. A highlight of the day will be the Sizzling Hot Pink Saratoga Hat Luncheon, presented by vineyard vines and Moet & Chandon, along with Saratoga Living. This year’s luncheon will honor Vivien Malloy, owner of Edition Farm and secretary and treasurer of the New York Thoroughbred Breeders. The pair of live money challenges will occur as two separate one-day contests. 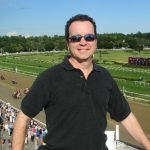 The Saratoga Challenge on Friday will guarantee a first-place payout of $15,000, as well as awarding entries to the 2019 Belmont Stakes Challenge to the top finishers and the 2019 National Handicapping Championship to the top three finishers. The Fourstardave Challenge on Saturday will guarantee a first-place payout of $25,000, as well as awarding the same entries as on Friday. Both challenges will consist of wagering exclusively on Saratoga races through the following pools only: Win, Place, Show, Exacta, Trifecta, Quinella and Daily Double. Friday is a $1,000 minimum buy-in; Saturday is a $2,000 minimum buy-in. 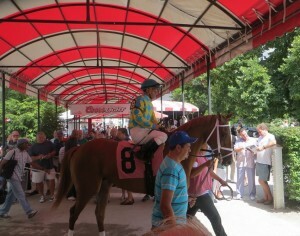 For more information about the Saratoga Challenges, visit www.NYRA.com/Challenge. The first giveaway of the 2017 season will pay tribute to the theme of opening weekend – Hats! Racing fans gather to receive a red and white Saratoga baseball cap, presented by Saratoga Casino Hotel. In addition to the Saratoga hat giveaway, the day’s festivities will include the 26th annual Hat Contest, presented by Hat Sationa! By DEI. Racing fans will take home the second giveaway of the 2017 meet, a gray short-sleeve t-shirt featuring a red Saratoga Race Course logo. The giveaway corresponds with the weekly Berkshire Bank Family Mondays series, which features free children’s activities and entertainment at the Berkshire Bank Saratoga Pavilion. The season’s penultimate premium giveaway – a red and black Saratoga cooler bag – will kick off the countdown to the $1.25 million Travers, which will be run for the 148th time on Saturday, August 26. Fans will celebrate closing weekend of the 2017 Saratoga meet with the final giveaway of the 2017 season – a Saratoga wall clock, presented by Foxwoods Resort Casino. The clock features an image of thoroughbreds racing down the stretch against the iconic Saratoga grandstand and clubhouse roofline. Guests will be able to redeem up to three vouchers at Saratoga Race Course’s giveaway redemption areas, including the one they receive with paid admission and the two additional vouchers they are able to purchase at the multiple admissions line beneath the grandstand. Season pass and season ticket plan holders will be guaranteed a Saratoga premium giveaway item on the day of the giveaway contingent on the following: Season pass or season ticket plan holders must be in attendance at Saratoga Race Course, enter through the designated season ticket and pass holder lines and redeem the giveaway by 3 p.m. Redemptions will begin when gates open to the general public. Season passes do not include reserved seating and are valid for one admission, which is valid for one giveaway item. Saratoga season admission passes are currently available for purchase online at www.NYRA.com/Saratoga and in-person at nearly 160 Stewart’s Shops locations in the following counties: Albany, Rensselaer, Saratoga, Schenectady and Warren. The summer racing season will begin on Friday, July 21 and continue through Labor Day, Monday, September 4.